Shipping container generator housing enclosures. 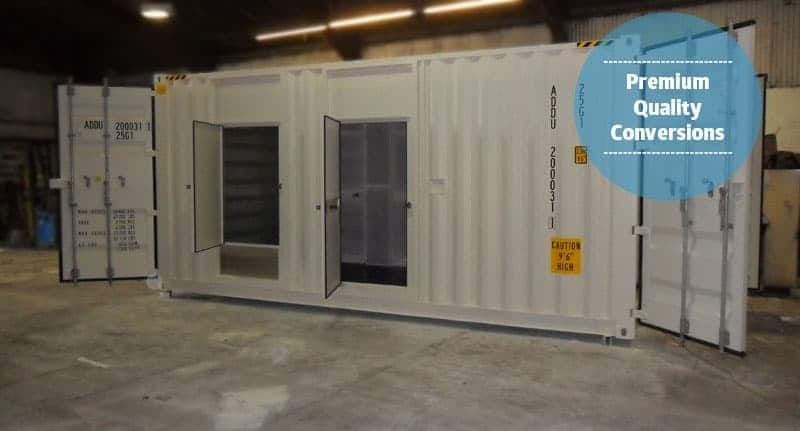 Discover a unique shipping container for generator housing conversion – introducing the Genertainer. Genertainer can be bought in 20ft, 40ft and custom sizes. (40ft box shown). Shipping container generator housing conversion is gaining in popularity. So perhaps it’s time to learn how the Genertainer can make your conversion more efficient. In fact, it’s not just generator enclosures that the Genertainer can be modified into, but also other types of plant housing too. 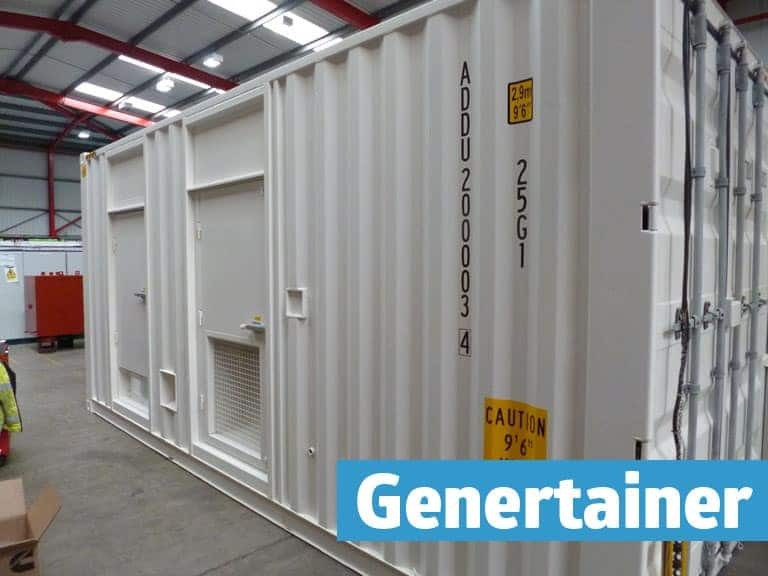 The Genertainer helps you save money and maximise container lifespan. 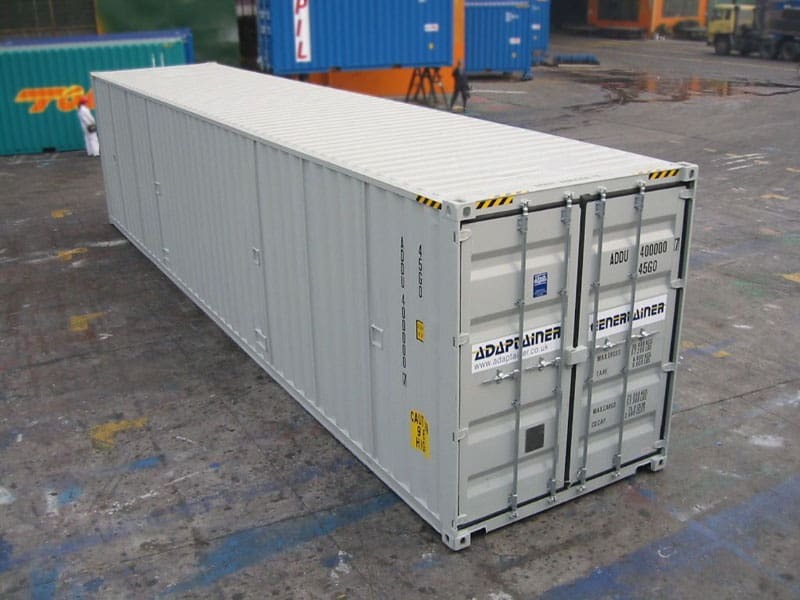 This special type of unit produced by Adaptainer offers unique advantages over standard freight container conversion. 20ft Genertainer box modified into generator housing. The specially engineered high cube Genertainer is a container that includes cost saving features for generator and plant housing. These cost saving features minimise your capital outlay and maximise the lifespan of the conversion. Why containers converted into generator housing might be the ideal solution for you. Containers can be converted to include the main features you may need for plant or generator enclosures. Ventilators installed for air inlet and extraction. Personnel access doors with panic release buttons. Gland plates for cable outlet points. And there’s some other great advantages too. Durability is ensured with the correct paint preparation, even in harsh environments such as salt water atmospheres. Plus, bulkhead walls provide plenum chambers and steel floors give bunded facilities to trap leakages. Another advantage is that converted units can be recertified to allow worldwide transportation on existing intermodal infrastructure, such as container vessels, trucks and trains. This represents obvious cost benefits. Get a quality conversion, exactly the way you want it. Custom conversion to customer design and specification means your requirements can be fully met. Contact us today to learn more about using shipping containers for generator housing/enclosures.